It’s important to pay attention to your Maryland landscape’s trees and shrubbery, particularly during the winter. With the leaves long fallen, the vast majority of woody plants are dormant, making this time of year perfect for pruning back dying or intrusive branches. Pruning trees is important because correctly pruned plants grow more fruit and flowers. It also helps your plants defend against pesky insects and diseases. The Atlantic Maintenance Group is here helpful advice on why, where, and when you should start pruning your trees. Pruning in winter is an important part of landscaping because it can help invigorate dormant trees and shrubs. Pruning leaves plants with extra energy and resource reserves that would have been used for the pruned branches, resources that the plant can turn towards strengthening remaining branches and its core root system. Here’s a quick list of plants you can prune during the winter. Call The Atlantic Maintenance Group. The Atlantic Maintenance Group offers a wide variety of commercial tree services to help you keep your trees and shrubs beautiful and healthy. Our experienced arborists and Maryland certified tree experts can diagnose, remove and or treat the necessary problems to help protect your plants and help ensure safety on your property. 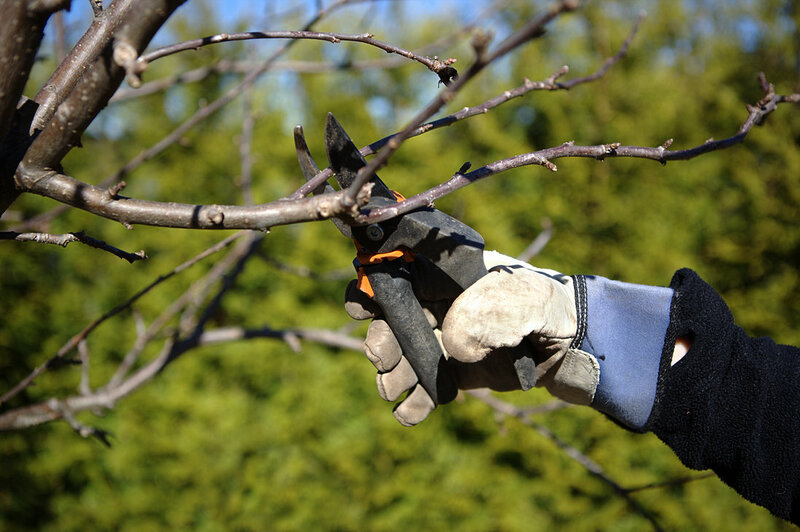 If you’re unsure about what to prune, or would like a highly qualified professional to manage the task for you, put down those shears and call The Atlantic Maintenance Group at 410-768-4720 or contact us via our website today. This entry was posted on Tuesday, December 2nd, 2014	at 8:26 pm	and is filed under Blog, Lawn Tips, Tree Care	. You can follow any responses to this entry through the RSS 2.0	feed. Both comments and pings are currently closed.